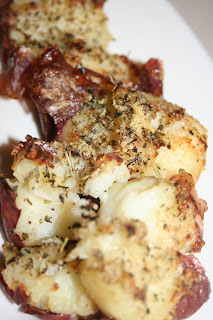 I make a lot of potato side dishes however I normally just quarter, toss with some EVOO and whichever seasonings pair well with the main course. Truth be told - it's getting a little stale. 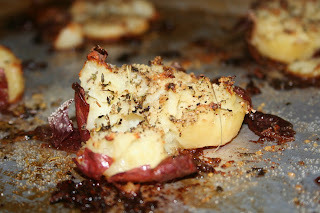 I've had these Crash Hot Potatoes from Pioneer Woman on my "to-make list" for.ev.er and I've finally made them. I'll definitely be making these more often. Not only are they delicious, they were so easy to make.